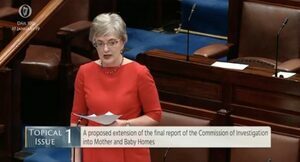 Minister for Children and Youth Affairs Katherine Zappone is expected to bring two reports concerning the Mother and Baby Home Commission to Cabinet tomorrow – to seek its approval to publish them. 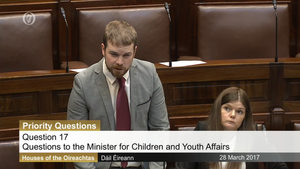 The reports are the a) Recommendations from the First Report from the Collaborative Forum for Former Residents of Mother and Baby Homes and Related Institutions and b) the Fifth Interim Report of the Commission of Investigation (Mother and Baby Homes and certain related Matters). 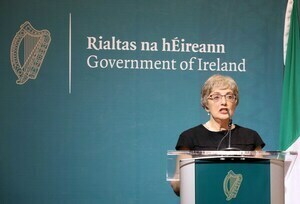 The Fifth Interim report is expected to focus on burial arrangements made for women and children who died while living in the institutions under the commission’s remit. It’s also expected to include technical reports prepared on the burial site associated with the former Bon Secours Mother and Baby Home in Tuam, Co Galway and the commission’s assessment of burial arrangements at the other institutions within its remit. The institutions are: Ard Mhuire, Dunboyne, Co Meath; Belmont (Flatlets), Belmont Ave, Dublin 4; Bessboro House, Blackrock, Cork; Bethany Home, originally Blackhall Place, Dublin 7 and from 1934 Orwell Road, Rathgar, Dublin 6; Bon Secours Mother and Baby Home, Tuam, Co. Galway; Denny House, Eglinton Rd, Dublin 4, originally Magdalen Home, 8 Lower Leeson St, Dublin 2; Kilrush, Cooraclare Rd, Co Clare; Manor House, Castlepollard, Co Westmeath; Ms Carr’s (Flatlets), 16 Northbrook Rd, Dublin 6; Regina Coeli Hostel, North Brunswick Street, Dublin 7; Sean Ross Abbey, Roscrea, Co Tipperary; St. Gerard’s, originally 39, Mountjoy Square, Dublin 1; St. Patrick’s, Navan Road, Dublin 7, originally known as Pelletstown; and subsequent transfer to Eglinton House, Eglinton Rd, Dublin 4, and The Castle, Newtowncunningham, Co Donegal. 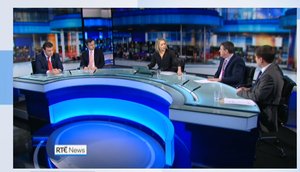 The four county homes under its remit are: St Kevin’s Institution (Dublin Union); Stranorlar County Home, Co Donegal (St Joseph’s); Cork City County Home (St Finbarr’s); and Thomastown County Home, Co Kilkenny (St Columba’s). 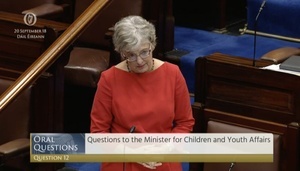 Posted in Misc and tagged Katherine Zappone, Mother and Baby Home Commission at 5:29 pm on April 15, 2019 by Bodger.